Sue Catharine Buchanan, 81, passed away surrounded by her family on November 16, 2018 at the Brookdale Topeka – Alzheimer’s unit. She was born on May 3, 1937 in McPherson, KS, to Edward Groh Johnson and Catharine (Colver) Johnson. Sue graduated from East High School in Wichita in 1955, and remained in touch with her core group of high school friends throughout her life. They had yearly reunions and traveled together to many destinations, and shared lots of laughs and memories at those gatherings. Sue was the life of the party and was the one to tell the jokes. Sue loved playing her mother’s beautiful flute in marching band, orchestra and various chamber music ensembles. She married Ronald L Buchanan on August 16, 1958 in Wichita, KS. Sue and Ron moved to Topeka in 1958. Given the times, Sue’s choices for college were teacher, nurse, or mom. She did all three. She was a mom, nurse and teacher to her own children and to her students. She graduated from Kansas State University in 1959 with a BS degree in Elementary Education. While working full time as a teacher and taking care of her family, Sue continued her education and graduated from Washburn University in Topeka with a Master’s Degree in Elementary Education in 1972. Sue loved being a teacher for 39 years, but she was so much more. She was a favorite of her 1500 students because of her gentle, loving approach to teaching. Sue believed that each student as a unique individual that needed that special attention to blossom and she was willing to give each one as much as humanly possible. She loved art so she taught art, she loved music so she taught music, and she loved reading and writing so she had her students write a book, poems and journal. She went above and beyond to be the best teacher she could be. Sue loved her colleagues at East Indianola like family and she remained dear friends with many of them right up to the end. Sue’s first teaching job was 3rd grade at East Indianola, Seaman District, Topeka from 1959-1962. After her first child was born she taught kindergarten at Rossville, KS from 1963-64, in 1966 after her second child was born she began teaching at East Indianola, Seaman School District, Topeka as the kindergarten teacher where she remained until her retirement in 1999. One of Sue most treasured honors was Teacher of the Year 1982 for the Seaman School District, Topeka, KS. Sue was a member of Alpha Delta Pi, Alpha Eta Chapter, May 1956, Kansas State University, Manhattan, KS; member of Alpha Delta Kappa, Omicron Chapter, Teacher’s Honorary Sorority, member of Topeka Area Retired School Personnel (TARSP) now KARSP, Vice President Membership for 2 years; member of Alpha Delta Pi Alum Group, secretary, Alpha Delta Pi Alum Bridge Group, and Seaman Teachers Association. Sue and Ron have been members of the Arab Shrine, Topeka, since 1998. Both were very involved in the activities of the Shrine. Sue enjoyed being a member of the Creative Ladies of the Shrine. Sue’s family was her biggest joy. She loved being a mom and raising four children was truly her most important accomplishment. Sue is survived by her husband of 60 years, Ronald L. Buchanan, Topeka; her brother, Charles E. Johnson (Joan), Bellevue, WA; her four children, Rebecca S. Drager (Kirk), Topeka; William E. Buchanan (Priscilla), Lenexa; Bradley C. Buchanan, Topeka: and Brenda L. Weintraub (David), McKinney, TX; her eight grandchildren, Catharine Carter (Alemeo), Beth Jeffries (Adam), Kristina Buchanan, Jacob Buchanan, Sarah Buchanan, Dylan Weintraub, Kylie Weintraub, Addyson Weintraub. Sue’s hobbies included attending the theatre, playing bridge, quilting, crocheting, gardening, reading, listening and playing, and rescuing feral cats. The visitation will be at 5-7 pm on Monday, November 19, 2018, at Penwell-Gabel, 1321 SW 10th Ave., Topeka, KS 66604. Memorial service will be held at 10 am on Tuesday, November 20, 2018 at Penwell-Gabel, 1321 SW 10th Ave., Topeka, KS 66604. Two worthy organizations for donation in memory of Sue: Alzheimer’s Association or because of Sue’s love of her cats and dogs: Helping Hands Humane Society of Topeka. The family would like to thank all the special people that helped Sue during the end of her life. Special thanks to all the devoted people of Brookdale-Topeka where Sue resided for the pass 14 months; Sue would have been lost without their daily loving care. Also to the many hospice workers of Great Lakes Caring, Sue and the family were fortunate to have them for all the support, guidance, love, and kindness. We thank hospice from the bottom of our hearts for your dedicated service making Sue’s journey here on earth so much easier and more comfortable. Hospice helped take the pressure and stress off the family, so we could spend those precious last days with mom giving her the love she so deserved. To share a memory of Sue or leave a special condolence message for her family, please click the Share Memories button above. Add your memories to the guest book of Sue Buchanan. Mrs. Buchanan was my Kindergarten teacher at East Indianola the year of 1968-1969. She was one of the nicest teachers/person I have known. She always made us feel special and was on our level when she talked. I will cherish the memories I have of Kindergarten, one that has stuck with me for many, many years now is the love she showed me when my Grandfather passed away. I can still remember the hugs and support she showed me and how she explained what had happened to the rest of the class. 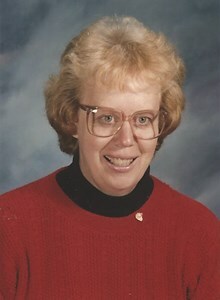 She was the best Kindergarten teachers anyone could ask for. Cherish all your memories as I have held onto mine. Thoughts, prayers and hugs are with all of her family during this time of sorrow. May God wrap his loving arms around you and give you strength in the days ahead. Deepest sympathy. Mrs. Buchanan was my Kindergarten teacher at East Indianola and not only did she teach me but she taught my siblings and my daughter. She was a dear friend to my mom who was a cook at EI. I am truly blessed to have had her as a teacher and so was my daughter as I feel she help mold her into the person she is today. May your memories give you peace and comfort, someone so special can never be forgotten. Sue was such an amazing lady. I had the privilege to do Sue’s hair for many years. Her stories are my most memorable moments whether it was her family or teaching she cherished every moment. Rest In Peace Amazing Lady. My thoughts and prayers are with you and your family. Sue was a lovely lady and it was a real pleasure to know and love her. I know she made quite an impact on her students and they will always remember the loving care she gave them. May God shed his grace on Ron and her family. There are so many exhilarating, educational, and just plain fun times spent together that citing one is difficult. Suffice it to say when a trip to some far-away location, say Seattle, Wa for a wedding, Tan Terra, Resort in MO, Orange Beach, Al, Door County, WI,; Durango, CO among others, her answer was, “We can always sell another cow”. We were grateful that Ron was a farmer. Those reunions brought us insite into the daily life of Sue Johnson Buchanan and we are all better persons from having Sue as our friend and fellow classmate. I am so sorry for the loss of your wife, sister, mother, and grandmother. Sue was someone who had a huge impact on my life especially when it comes to teaching and someone who holds a very special place in my heart. I was blessed in the Spring of 1997 to student teach with her who I considered the most amazing kindergarten teacher at East Indianola. Mrs. Sue Buchanan taught me more in those short five months than I learned in most of my classes. A cooperating teacher can make or break those going into teaching and Sue helped me become the teacher I am today. She taught me so much but also encouraged me to be the teacher within me. She was always kind and followed up on me for many years as I began my teaching career. Once at Rochester I always looked forward to her visits when she would be selling nuts! I think she knew but I wish I had one more chance to tell her the huge impact she had on my life and for showing me how wonderful teaching is. I thanks your family for sharing her with all of us! Mrs Buchanan was also my teacher as a wee little one. And as most have expressed, she truly was the best teacher EVER her love knew no bounds when it came to her students. She was such a bright light in this world. So sorry for your loss, your family will be in my prayers during this time. What a special lady! Sue not only gave the students a wonderful start, Sue was my friend too! I volunteered for her as a para professional. She will certainly be missed. Rest In peace, dear lady. My condolences to the Buchanan Family. Mrs. Buchanan was my older Brothers Kindergarten teacher and Then mine. She set me up for life, she was born to teach, teachers like her are hard to find these days. She truly loved every student and she set us up for success in the years to come. It saddens me to see she has passed. However, I hope your hearts are full knowing how big of an impact she has made on so many individuals lives! Your family are in my prayers. Sending prayers and love to her family! I’m sure she will be terribly missed! She was such a great kinder teacher (kinder class 87-88)! She was always so kind and patient???? Mrs.Bucannon was my teacher when I was in school at East Indianola 1974. I still remember how sweet and kind she was. She will be dearly missed. She is now an angel in heaven where I am sure she will continue to teach. R.I.P. ?? Mrs. Buchanan was my kindergarten teacher. I always loved her teaching methods and her love for her students. She is unforgettable and will be missed dearly.